The only way to worship in Spirit and in Truth, in fact is to worship Him in Spirit and in Truth. 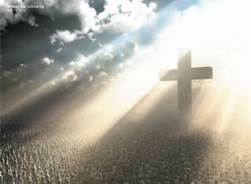 Joh_4:24 God is a Spirit: and they that worship him must worship him in spirit and in truth. What About Music for Worship in Spirit and in Truth? Now, as a church pianist from the age of 16 who studied music in Bible College, and has been a praise and worship leader all over the last 40 years, I can honestly say I’ve seen a lot of questionable practices combining music and worship. Of course, I can also honestly say that some of my prejudices against some of those practices might have more to do with personal likes than what the Bible says. So, what does the Bible say about how to worship in Spirit and in Truth? Does it even say anything about the act of worship, where we are to worship, or why we worship? The easy answer is “yes”. 1Ch_16:29 Give unto the LORD the glory due unto his name: bring an offering, and come before him: worship the LORD in the beauty of holiness. Psa_5:7 But as for me, I will come into thy house in the multitude of thy mercy: and in thy fear will I worship toward thy holy temple. Psa_99:5 Exalt ye the LORD our God, and worship at his footstool; for he is holy. Psa_132:7 We will go into his tabernacles: we will worship at his footstool. Jer_7:2 Stand in the gate of the LORD'S house, and proclaim there this word, and say, Hear the word of the LORD, all ye of Judah, that enter in at these gates to worship the LORD. While it’s not impossible to worship God at home or driving down the road in your vehicle, sometimes it does help to participate in corporate worship by following a proscribed time of worship surrounded by others who want to enter into real worship. On the other hand, sometimes getting before the Father by yourself may be the only way to “worship at His footstool". What is glory? Well according to an online source: High renown or honor won by notable achievements. From another source: The glory of God is the beauty of His spirit. It is not an aesthetic beauty or a material beauty, but it is the beauty that emanates from His character, from all that He is. As a verb it means to rejoice, exult, boast and jubilate. Psa_29:2 Give unto the LORD the glory due unto his name; worship the LORD in the beauty of holiness. So giving God glory means giving Him the honor due Him by rejoicing in His character, and exulting in Him…just because. Psa_66:4 All the earth shall worship thee, and shall sing unto thee; they shall sing to thy name. Selah. Singing and worship seem to go hand in hand. I know that as a pianist, playing the piano at times is an act of worship, especially when it leads others to begin to forget themselves and instead start to worship Him, often by singing. Psa_95:6 O come, let us worship and bow down: let us kneel before the LORD our maker. 1Co_14:25 And thus are the secrets of his heart made manifest; and so falling down on his face he will worship God, and report that God is in you of a truth. 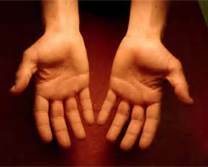 Bowing down is not something most of us do as part of worship. However, if you’ve ever entered His presence while in a state of worship, you will experience the powerful need to bow down. 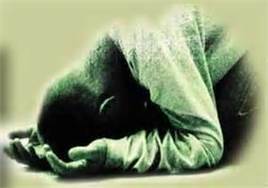 Some will even find themselves face down, prostrate on the floor, lost in worship of Almighty God. When that happens, the Holy Spirit is teaching you how to worship in Spirit and in Truth. 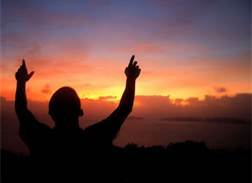 Psa_99:9 Exalt the LORD our God, and worship at his holy hill; for the LORD our God is holy. Exalt is the verb form of “glory”, and is the act of glorifying God. Praising Him, lifting Him up in your mind and spirit so that He is above all. This calls for a humbling of your own wants and needs as you learn how to worship in Spirit and in Truth. 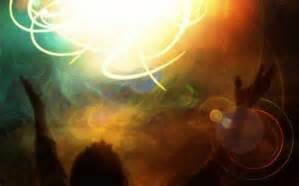 Joh_4:23 Yet a time is coming and has now come when the true worshippers will worship the Father in spirit and truth, for they are the kind of worshippers the Father seeks. Joh_4:24 God is spirit, and his worshippers must worship in spirit and in truth. If you want to move into a new, deeper relationship with God, then the first step will be learning how to worship in Spirit and in Truth.